Kids generate chaos – it is a normal part of creativity and play! Kids generate chaos and disorganization – it is a normal part of creativity and play! Let your kids be inspired in an environment that fosters imagination and FUN. This doesn’t mean their rooms are in chaos or their stuff is strewn about the house. Nor does it mean their rooms are sterile places, devoid of toys. However, it does means there is an assigned place for play and discovery; to dump out their Legos, play dress up, work on a craft or science project. And when playtime is done, there’s a simple routine to put it all away, where the kids can be involved and take responsibility for cleanup. Does your child’s environment support their needs? Do they have an area where they enjoy drawing or writing? Where do they build their towers or assemble their Legos? Do they have a quiet place to read or do homework? Now some more difficult questions: Is there a place for everything to go away? Are the kids accountable for maintaining these spaces? 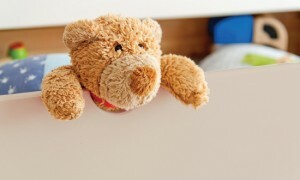 Do your kids know how to let go of artwork or toys they have outgrown? It may seem easier for parents to pick everything up after bedtime, or sneak some drawings into the recycling bin; but this sets up harmful habits that you may come to regret later. It’s important to teach kids the essential skills that will help them develop into more organized, efficient and responsible adults. Help your kids to develop and nurture the skills they need to succeed. Establish a daily routine with everyone’s responsibilities clearly defined. Get out the door in the morning more efficiently. Keep your child’s workspace neat and free from distracting clutter. Organize the school supplies and other school-related materials. Keep track of school papers, homework and schedules for extracurricular activities. Simplify, so putting away toys or clothes isn’t a daunting, complicated task! When your kids understand that organization is important to you, it reinforces why it should be important to them. Let me help you to develop new routines and organizational systems that will benefit the whole family.